Hi, it's me, @Midnafuzzer ! Request people to be followed, or ask to be followed in the comments, plz! Learn More! 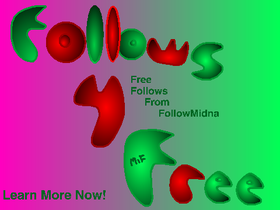 FollowMidna! Midnafuzzer's New account!